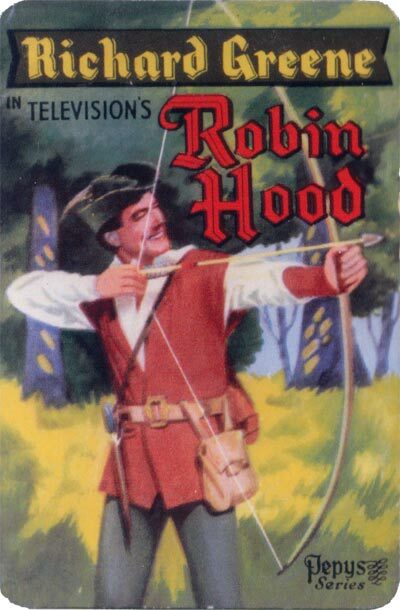 Robin Hood card game published by Pepys in 1956 was based on the television adventure series featuring the legendary outlaw, starring Richard Greene, which ran from 1955 to 1958. 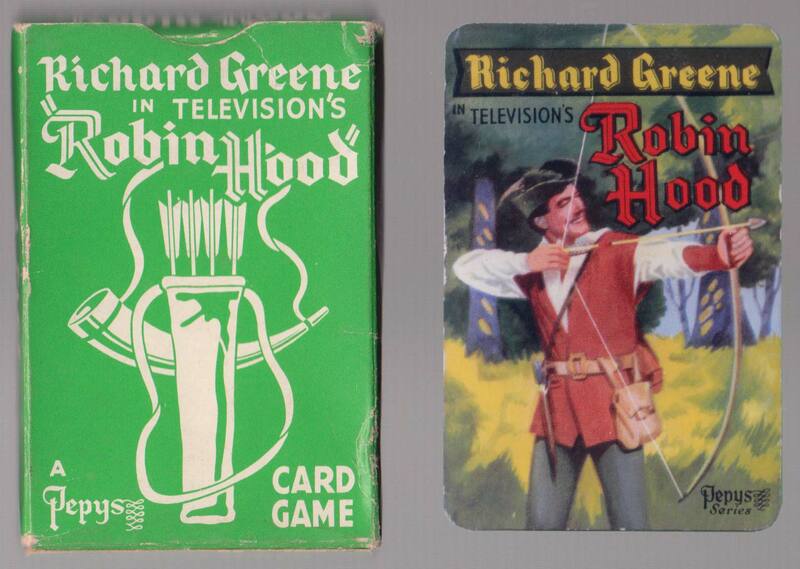 The cards show scenes which appear to be taken directly from the screen. 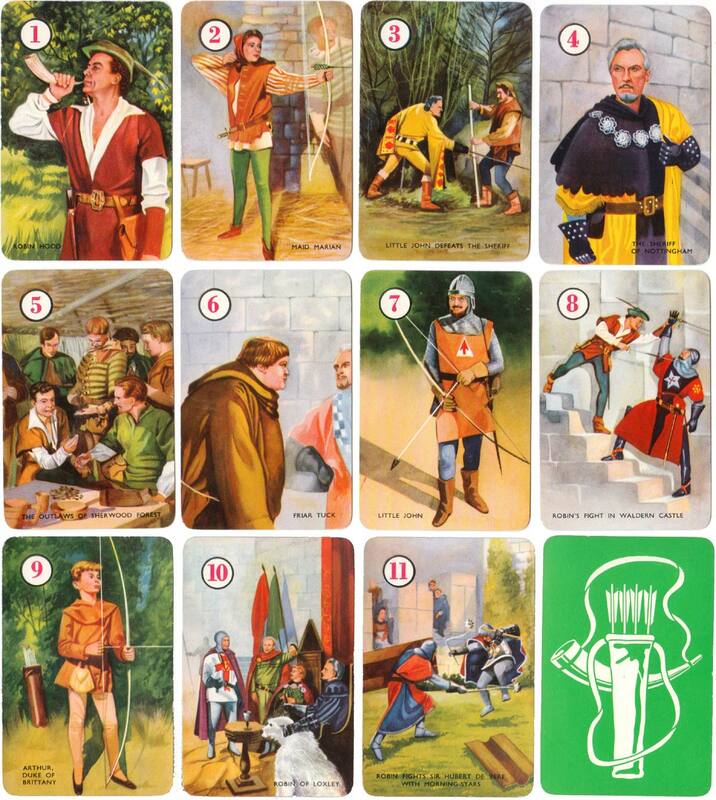 Above: Robin Hood card game published by Pepys, 1956. 44 cards + rules booklet in box. From the collection of Rex Pitts.